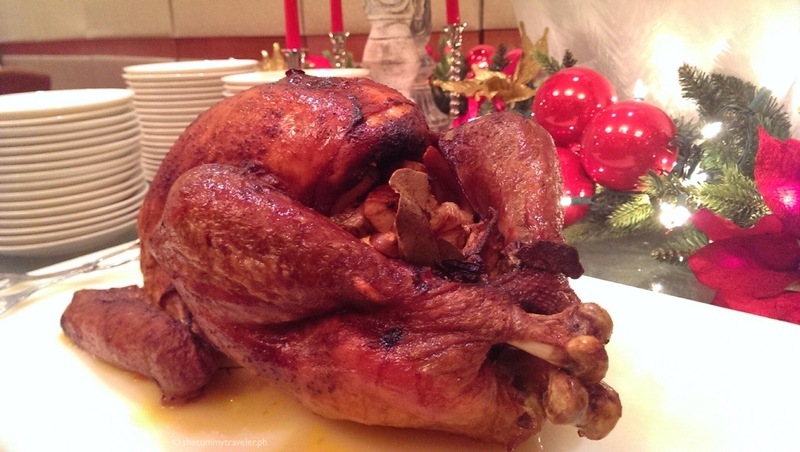 Thanksgiving - The Marriott way! Thanksgiving is just a few days away and we have so many things to thank for – life, family, friends, work and yes, even struggle that teach us lessons along the way. Personally, these struggles and obstacles that we are experiencing should all the more keep us bonded, make us stronger and more thankful. And amidst these trials, we still should see things in a different light. 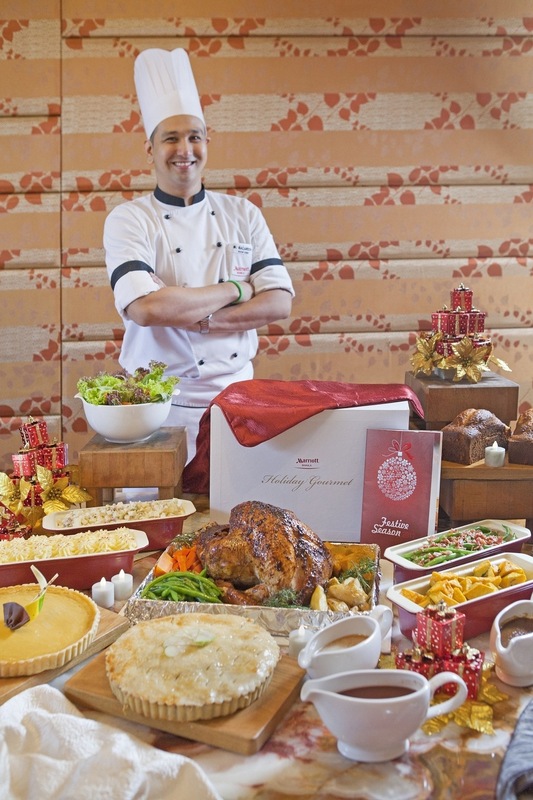 And in light of thanksgiving, Marriott Manila is hosting a variety of means to choose from to celebrate Thanksgiving! Starters – lentil salad with spinach and pecans, asparagus with spicy prawns, creamy chicken and grapes salad, plus the organic salad bar. Seafood on ice section – blue crab, whole tiger prawns, Chilean mussel, and curacha crab. 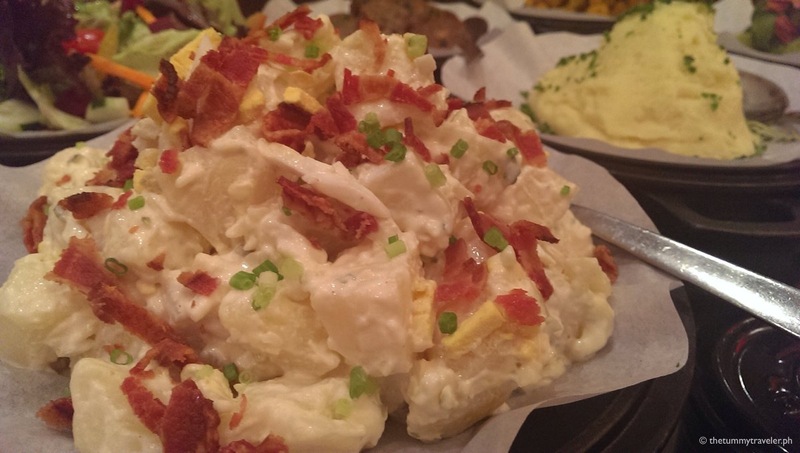 Soup – sweet potato and squash soup and Manhattan crab chowder. Desserts – pumpkin pie with caramel sauce, pumpkin cheesecake with cherry compote, pecan pie, cinnamon donuts with cherry jam, apple pie, white and dark chocolate brownies, large chocolate chip cookies, and chocolate fountain with dipping goodies. Thanksgiving will not be complete without the highlight of the show, the Honey Cinnamon Glazed Roast Turkey. A craving for the traditional but equally mouthwatering roasted US choice prime rib-eye can still be satisfied, together with cranberry sauce, Yorkshire pudding, corn muffins, mustards, and house-made gravy. Enjoy a four-course dinner and bask in the chic, cozy atmosphere of Cru and indulge in both the delicate and robust flavors that the renowned restaurant has to offer. But if you wish to celebrate Thanksgiving in the comforts of your own home, you can order their original roasted turkey! 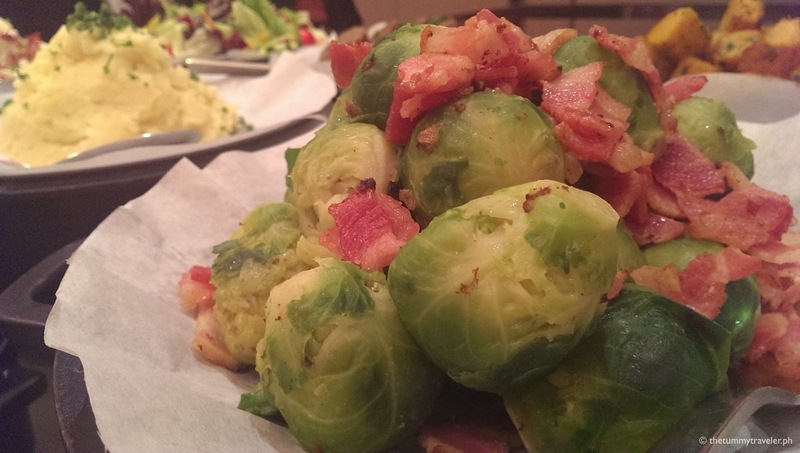 This includes 6 to 7 kilos of whole roasted turkey, cranberry sauce, lettuce salad with dressing, potato salad, a kilo of classic stuffing, pan gravy, buttered mashed potato, brussel sprouts with bacon, baked pumpkin, baked pumpkin pie, and baked apple pie that can last you all the way till Christmas. Available from November 28 to December 25. Just call us at least 24 hours in advance. Decadent holiday pies are available for sale at Php800. At 8” in diameter, these homemade delicious pies come in four flavors: buko, mango, pumpkin, and apple, perfect for sharing as a dessert or just a picker-upper for the sweet tooth in you. Thanksgiving truly is what it is… a season of gratitude. 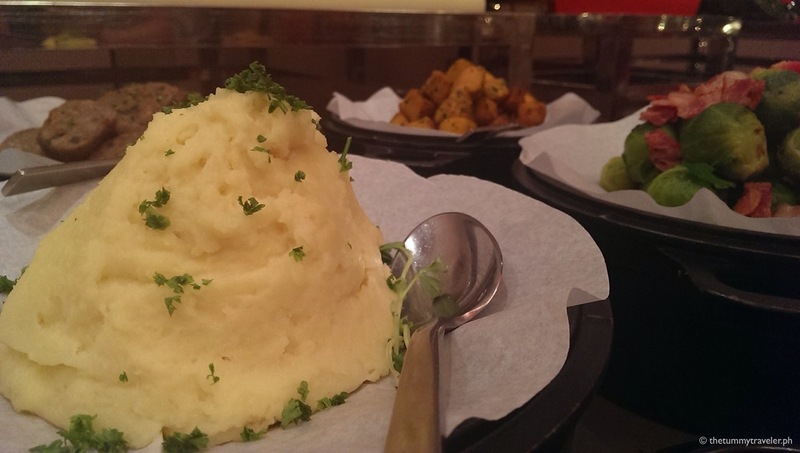 You are Here >> Home » Food » Thanksgiving – The Marriott way!